Explore central Guatemala on a 3-day trip from Guatemala City. Visit the city of Cobán and enjoy a guided hike through the forest of El Biotopo del Quetzal. Spend a day visiting Semuc Champey’s various natural pools and stop by Lanquin Caves to learn about the incredible natural cave formations from your knowledgeable guide. You’ll also visit Rey Marcos Caves and take a guided exploration of this fascinating cave complex. This 3-day tour is a great way to experience Guatemala’s stunning natural beauty. Experience central Guatemala’s natural beauty on a 3-day trip to Cobán and its surrounding areas from Guatemala City. 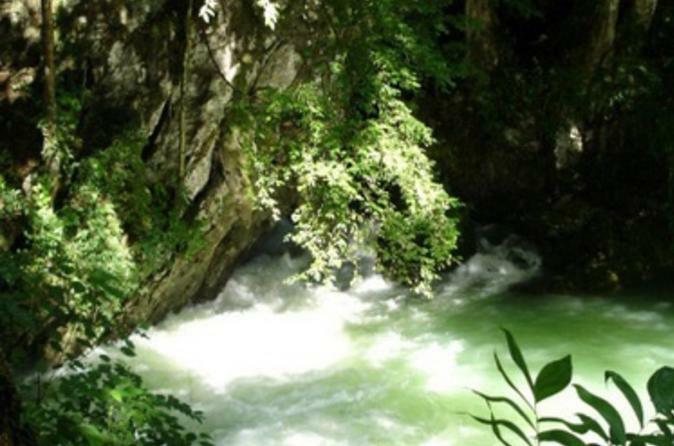 Visit beautiful Semuc Champey and hike through the forest of El Biotopo del Quetzal. Explore caves, swim in natural pools and underground rivers, and learn about various plants and wildlife from your knowledgeable guide at each location. This tour is perfect for travelers who are looking for a fun outdoor experience. For a full itinerary, please see below.